Sylvania Soaring Adventures has complete glider instruction programs for individuals with no prior experience as well as transition programs for power pilots and those seeking advanced glider ratings. 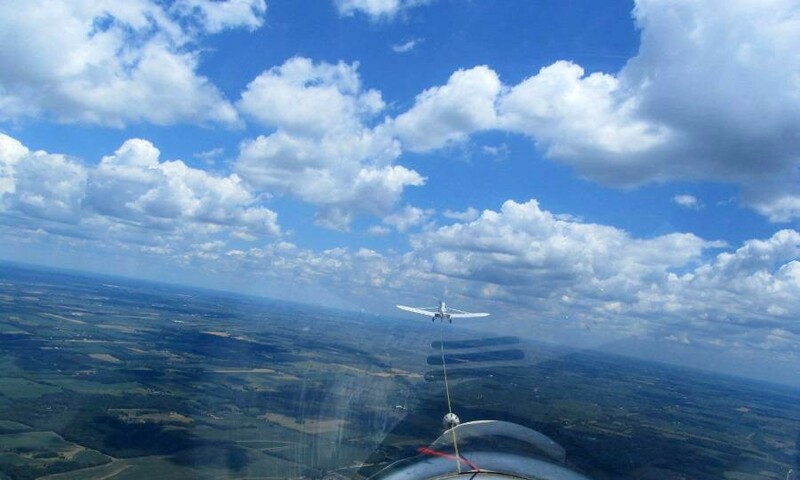 The FAA specifies the criteria for obtaining your glider rating. Our experienced staff will be more than happy to discuss these requirements with you. When you decide to obtain your rating, our FAA Certified Flight Instructors will work with you to prepare you for the appropriate examination. On average, 30 to 35 flights are needed to satisfy the requirements for solo flight. The minimum age for solo flight is 14 years old. After meeting the requirements for a private pilot rating, you may take family and friends aloft. The minimum age for a private pilot rating is 16 years old. Once you have become a private piliot, you can obtain your commercial rating. Requirements for a commercial rating are: 18 years of age; 25 hours of flight time; 100 solo flights; and 10 dual flights. Licensed power pilots will find that the transition to a sailplane rating is fairly simple. Generally, solo flight can be accomplished after 10-15 instructional flights. A flight test, but no written exam, is required for a sailplane rating. Adding a glider rating to your pilots license counts as a flight review.